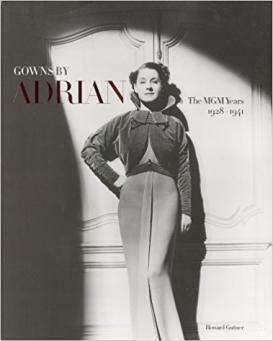 Adrian, the great American film and fashion designer, was born Adrian Adolph Greenberg in Connecticut in 1903. Stage-struck at an early age, he had worked in summer stock and sold costume sketches to the producers of a Broadway show by the time he was eighteen. In 1921 he entered the New York School of Fine and Applied Arts (now the Parsons School of Design) to study stage design. He transferred to the Paris branch of the school in 1922. Adrian returned to New York after three months to design costumes for Irving Berlin's Music Box Revue. He had designed costumes for his first movie and a number of Broadway shows by 1924, when he accepted a job designing costumes for Rudolph Valentino. Relocating to Los Angeles with Valentino, Adrian created costumes for three more of his films. He freelanced on Her Sister from Paris, starring Constance Talmadge, in 1925 and on Howard Hawks's Fig Leaves for Fox in 1926, a film that featured a two-color Technicolor fashion show sequence. Adrian signed a contract with Cecil B. DeMille the same year, moved with DeMille to Metro-Goldwyn-Mayer (MGM) in 1928, and subsequently signed with MGM. He stayed there until 1941, when he terminated his contract and left the movie business. In 1939 Adrian married Janet Gaynor, winner of the first Academy Award for best actress, and they had one son. As MGM's chief designer, Adrian designed costumes for all the major stars in every important movie. Greta Garbo, Norma Shearer, Joan Crawford, Jean Harlow, Jeanette MacDonald, and Katharine Hepburn all wore his designs. Adrian was so important to the stars that Joan Crawford once said he should have been given cobilling on her movies. Film costumes had to make the stars look their best, be suitable for the character, and conform to the technical dictates of lighting, film stock, and sound recording. Period costumes had to be reasonably authentic but also accessible to the audience's eye. Modern wardrobes had to be of their time but independent of any specific fashion, for several reasons. First, the time lag between the production of a movie and its release meant that using current styles on a star would make her look out of fashion when the film was released months later. More important, each star's screen persona was carefully developed by the studio, and her roles never varied widely from it. For example, Norma Shearer represented the conservative-young-woman type; Garbo was always the unpredictable, mysterious exotic; and Joan Crawford typified sophisticated young America. Film styles had influenced fashion since the silent movie era, but their impact was intensified by the advent of sound. With the "talkies," films became more realistic, and film costuming became less focused on theatrical effects. The European fashion world watched to see what Adrian put on Garbo, Shearer, and Crawford. Designs that Adrian introduced on individual stars frequently returned to America as "the latest from Paris." The studios allowed manufacturers to market garments based on a star's film wardrobe, and thousands of dresses, blouses, and coats named for Letty Lynton (Joan Crawford, 1932) or Queen Christina (Greta Garbo, 1933) were sold. A number of Garbo's hats-the cloche from A Woman of Affairs, the plumed cap from Romance, and the pillbox and turban from Painted Veil-created new trends. In 1930 the Modern Merchandising Bureau was established to organize the manufacture of styles introduced in a film before the picture's release, in order to have copies available in stores as soon as audiences saw the movie. Macy's in New York was the first store to open a Cinema Fashions shop, and crowds would gather on the sidewalk to see the new styles in the display windows. During the Great Depression, Hollywood further capitalized on film fashions by licensing patterns for home sewing based on them. The success of Condé Nast's Hollywood Pattern Book led to its becoming a whole new magazine, Glamour of Hollywood, in 1939; the title was subsequently shortened to Glamour. Movies exerted an enormous influence on world fashion, and Adrian was the leading Hollywood designer of his era. After retiring from films, Adrian opened a couture and ready-to-wear business in Beverly Hills, which manufactured his designs and sold them to specialty stores throughout the United States. He showed his first collection in February 1942. 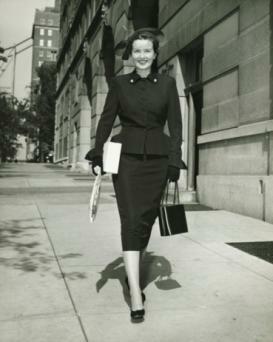 Having designed suit variations for years in his movies on stars from Garbo to Hedy Lamarr-but most famously on Joan Crawford-he now produced the classic, square-shouldered, 1940s suit for which he is best known. Antecedents of this "V" silhouette throughout the 1930s had included such devices as the pagoda shoulder and the horizontal extension of the sleeve cap through pleating. To avoid both the faddish effect of the pagoda shoulder and the boxiness of the widened sleeve cap, Adrian squared the shoulder with pads of his own design, narrowing and neatening the silhouette to give it a classic line. As well as suits, he included a wide variety of day dresses, cocktail and evening wear, and coats in his collections. In 1947 Adrian refused to follow the example of Paris when the New Look was introduced by Christian Dior. He found sloping shoulders, a cinched waist, padded hips, and long, full skirts unattractive on the average woman as well as cumbersome and impractical. Although he never significantly varied the "V" cut of his suits, he reduced the shoulder pads in his suits-never removing them altogether-and lengthened and slimmed the skirt. For evening wear, as opposed to daytime, Adrian had no quarrel with the New Look and encouraged women to go "all out." His wartime evening silhouette-a neoclassic column of rayon crepe with the same slim, squared shoulders as his suits-mutated into a softer silk sheath. Adrian's evening collections expanded to include everything from voluminous ball gowns to variations on the sari to dinner dresses draped with bustle variations. Throughout the collections of Adrian's fashion career, certain themes reappeared. He frequently designed prints of animals, such as the famous "Roan Stallion" evening gown or The Egg and I at-home dress with its furious barnyard chickens. After Adrian's trip to Africa in 1949, animal and reptile prints appeared in a ball gown of tiger-skin taffeta and a hooded evening suit made from heavy silk that looked like an iridescent python skin. His "Americana" theme included a quilted silk hostess gown appliquéd with cotton gingham motifs and a long gingham evening coat with a matching skirt and sequined bodice. He referenced modern art movements such as futurism with inset streamers that emerged from the gown's surface to drape and flutter and cubism in the extraordinary "Modern Museum" series of rayon crepe gowns executed in pieced, multicolor, biomorphic shapes. In 1952 Adrian suffered a heart attack that forced him to close his business. He died in 1959. 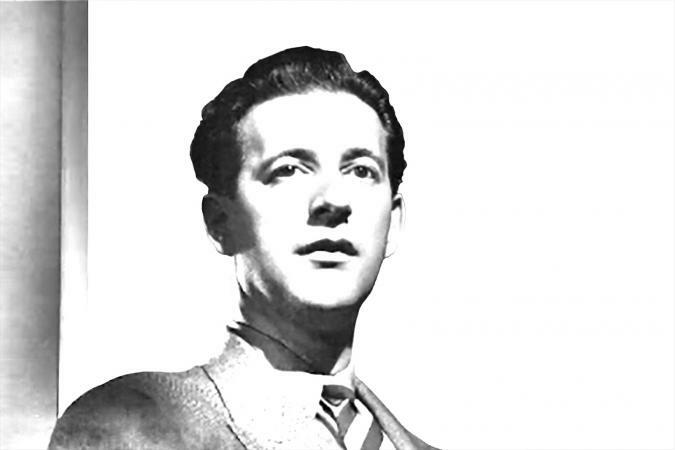 Adrian's career was unique among designers in that he conquered both the film and fashion worlds. He worked entirely in California, far off the beaten track for couture or ready-to-wear. In film he worked as a couturier, designing costumes to highlight a star's individuality and conceal her figure flaws. These singular creations in turn engendered worldwide fashion trends. After leaving films his greatest achievement lay in his mastery of the ready-to-wear market. As a film designer Adrian gave fashion inspiration and hours of entertainment to millions of people all over the world. As a fashion designer he set a standard both for originality of design and quality of workmanship. See also Actors and Actresses, Impact on Fashion; Costume Designer; Film and Fashion; Hollywood Style; Ready-To-Wear. Gutner, Howard. Gowns by Adrian. New York: Harry N. Abrams, 2001.